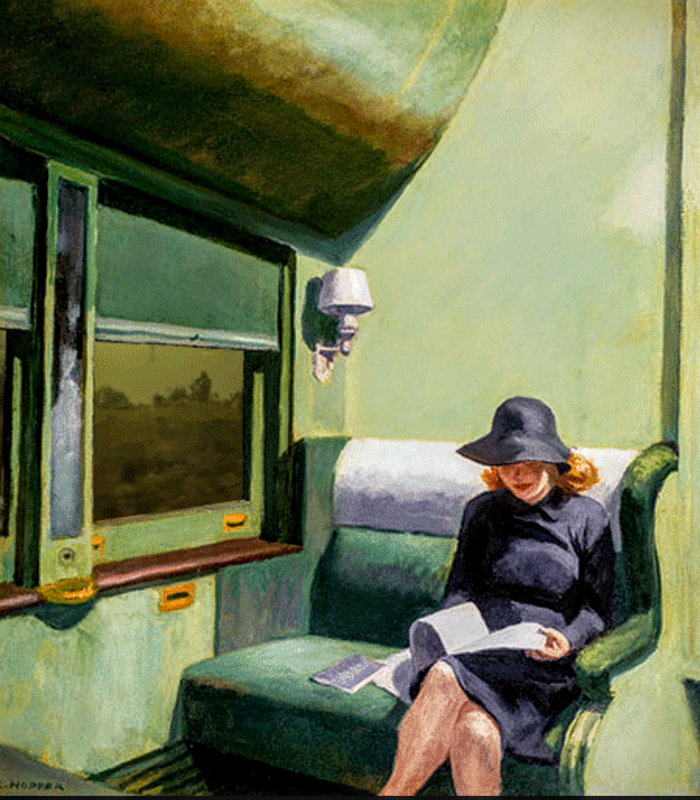 This entry was tagged edward hopper, ekphrastic, green, napowrimo2016, national poetry month. Bookmark the permalink. Another interesting thought provoking poem. Excellent. Thank you Frank. Hope you are doing well this week. hmn, not British Racing green… but cegl’s run run away green 😀 smoothie? One of the themes that runs through so many of Hopper’s poems is this particular shade of green, which I find disconcerting for some reason. It puts me on edge. I don’t know why, because I love green. There was something you wrote once long ago that made me feel that same color of green in it. Weird, I suppose. Thanks! I have not been enjoying my spring because of my stupid allergies. I have been out of pocket but I need to keep moving forward to get all the prompts done this month! A good friend of mine introduced me to Hopper. He also introduced me to some questionable things as well. I like that. Nairobi Trio comes to mind. Hungarian Ducks. Stuff like that. The duck was total Hungarian. Qvack Qvack!! That duck was from China. Peking Duck.